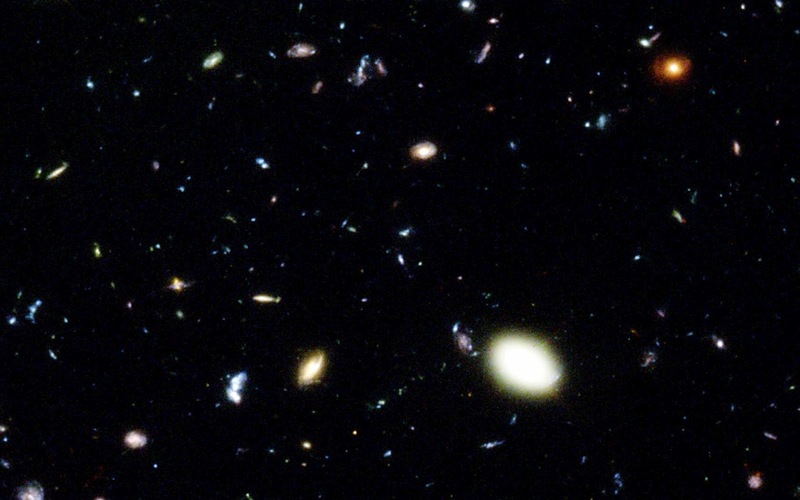 A Deep Field Problem is one which at a glance appears trivial and solutions almost completely vacuous, yet upon longer observation reveals ancient embedded structures and an unbounded density of substance. Real world situations and phenomena are chock full of Deep Field Problems. Moving to the other end of the spectrum of scale, particle physics reveals boundaries of inspection below which we cannot go, yet even in the vacuum of space there is the zero point energy dance of virtual particles popping in and out of existence. The effect was used by Hawking to describe how black holes could evaporate. Human culture presents a Deep Field Problem in itself, as do the many societal domains layered upon it: economics, medicine, engineering, science, and governance to name a few. The background image was prepared from http://hubblesite.org/newscenter/archive/releases/1996/01 with The GIMP on a 1680x1050 resolution MacBook Pro, and placed into the background with a very nice CSS3 property (background-size: cover;). GIMP preparations started with the high-resolution TIFF. The main image layer was duplicated, and a threshold of about 62% was applied to the foreground layer to mask out the fine galactic "noise". The foreground layer was then blurred slightly, and the mode changed to Soft Light. Finally, a rectangular area of the visible image was selected and pasted as a new image, scaled to fit my screen, and saved as a 68% quality JPEG.